Mobile messaging and payment specialist CM, based in Breda, the Netherlands, takes over the German text message service providers SMSKaufen and Innosend. In doing so, CM strengthens its market position in Germany with the addition of 15,000 active customers, including Toyota and Mercedes. SMSKaufen was established in 2000 and is part of EventVoiceMedia GmbH. Apart from text message services, Innosend and SMSKaufen also offer fax, post and printing services. Thanks to an API connection, customers can quickly send letters to addresses worldwide via Deutsche Post. With this takeover, CM extends its service provision to letter sending. Thomas Dickenbrok of SMSKaufen and Innosend: “The decision to sell SMSKaufen to CM originates in the enormous changes in the telecommunications market. EventVoiceMedia GmbH had already declared it wished to concentrate on video and audio production. This meant the focus on text messages was lost. Both companies already were customers of CM, which we see as a reliable partner delivering high-quality services. Thanks to the takeover by CM, SMSKaufen is now part of one of the most important players in the mobile messaging market." Jeroen van Glabbeek, CEO of CM: “The takeover of SMSKaufen and Innosend, with their 15,000 active customers, is a significant step for CM's market position in Germany. In the past, we have already taken over the German companies SMSTrade, SMSPromote and Mobilant. We were able to implement the takeover very quickly as the existing strong relation between CM, Innosend and SMSKaufen was already very good. CM is the market leader in the field of text messages and push messages, and expands with postal services. That seems to be a remarkable step, but the letter sending service of SMSKaufen is a nice addition to our portfolio and enriches the communication processes of our customers." CM has been awarded as an FD Gazelle, which means CM is one the fastest growing companies in the Netherlands. FD Gazelle is an initiative by financial newspaper Het Financieele Dagblad, the Dutch equivalent of the Financial Times. BREDA – [05/07/2017] Netherlands-based mobile service provider CM acquires payment institution Docdata Payments from its American owner Ingram Micro. This was agreed this Monday by both parties. 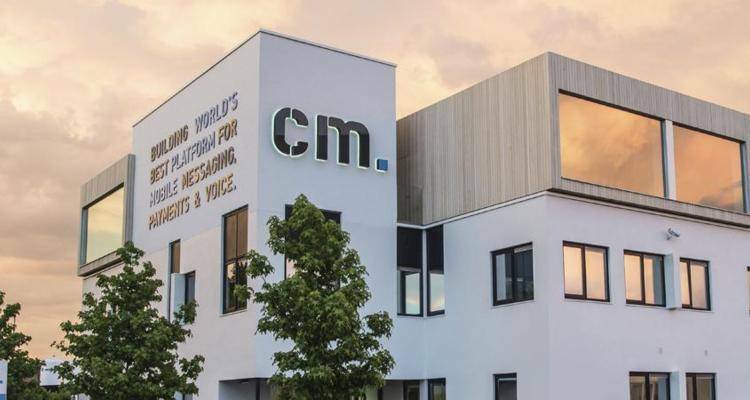 Dutch mobile services provider CM acquires app developing company Service2Media. This completes the takeover that begun with CM adopting the CERTA push platform last month. Mobile service provider CM has founded CM Payments, a new Payment Service Provider (PSP) that will operate internationally. CM Payments opens its office in Amsterdam. Mexico shows a significant growth if it comes to mobile messaging. Therefore CM is now using a direct operator connection for SMS and Voice traffic into Mexico. The Dutch mobile service provider CM Groep (CM, headquartered in Breda, Netherlands) has acquired all activities of its main competitor, SMS service provider KPN Callfactory. With this acquisition, CM has made an important step into further consolidating mobile service providers in the Netherlands. Mobile messaging specialist CM in Breda, the Netherlands announced the acquisition of app developers OneSixty Mobile today. The new shareholder will integrate the five employees currently working at OneSixty Mobile as well. Dutch based SMS and mobile payments specialist CM Group today announces it has entered into a definitive agreement to take over the Belgian SMS and IVR company Paratel in Brussels.